What happens when the AMD thermal engineering team and Cooler Master team up to create an air cooling solution for the 2nd Gen Ryzen Threadripper? 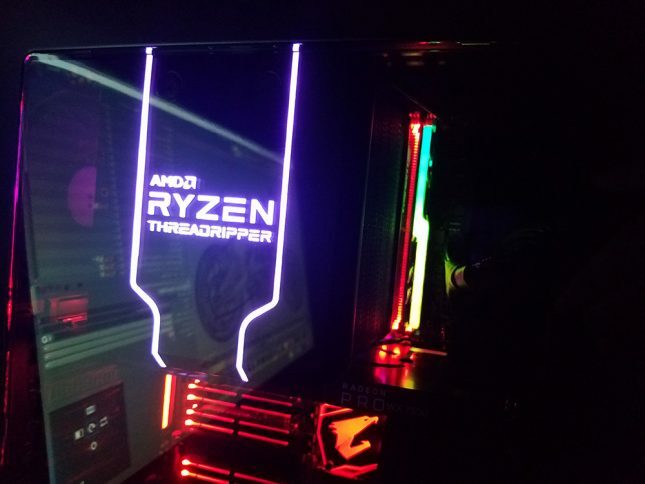 You get the behemoth known as the “Wraith Ripper”, that will be available to purchase from Cooler Master when the new Threadrippers come to market in Q3 2018. 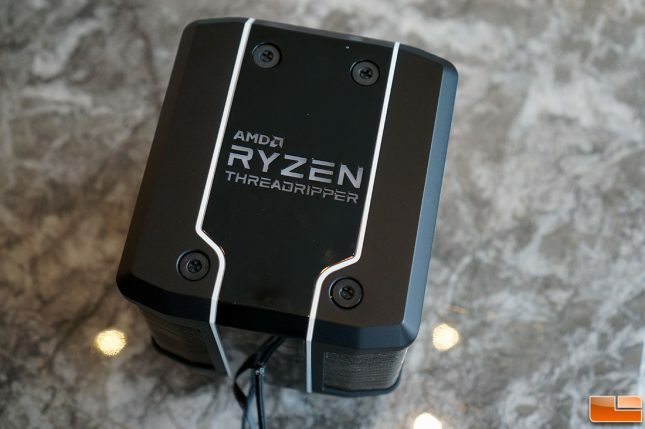 This CPU cooler will work on all of the AMD Ryzen Threadripper processors on the TR4 platform and features a full coverage base, 14 heatpipes and customizable RGB lighting. 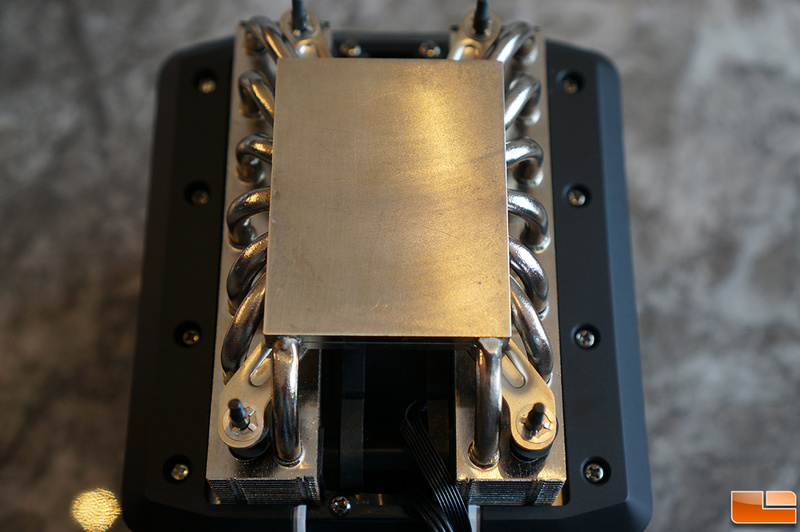 It also happens to be pretty quiet, just 39dba at full fan speed. That is pretty impressive considering it will be cooling the 2nd Gen Threadripper 32-core, 64-thread CPU that is rated at 250W TDP. 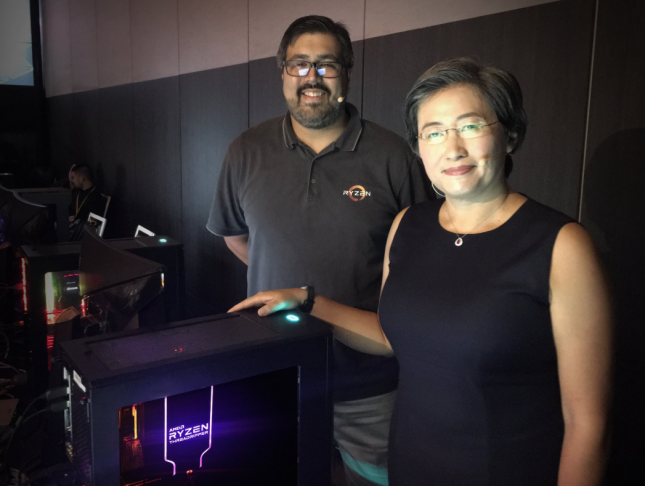 All of the demos shown by AMD at Computex 2018 during the 2nd Gen Ryzen Threadripper reveal were cooled by this cooler, so you don’t have to have water cooling to run any Threadripper CPU! Intel certainly surprised a good number of people at Computex this week by announcing a 28-core HEDT CPU that will be coming out in Q4 2018. If you look closely at their demo systems it is quickly clear that Intel was not air cooling their demo systems and were possibly using a cooling solution most often used by extreme overclockers. AMD and Intel are pushing the boundaries of computing with all these cores, but we’ll need to be able to reasonably keep them cool! We’ll close with a couple shots of the Wraith Ripper CPU cooler in some of the demo systems at Computex 2018 to give you an idea of how the RGB lighting looks.